Movado was founded in 1881 in La Chaux-de-Fonds by Achilles Ditesheim. The name Movado means ‘movement’ in Esperanto. After having used Excelsior Park movements, Zenith acquired Martel in 1960 and started using these movements instead. During the 1960’s Movado and Zenith were both using the same Martel movement: a Caliber 146 HP 3-register chronograph that was also found in earlier Universal Geneve chronographs prior to 1960. The DP version was a 2 counter version of the same caliber. 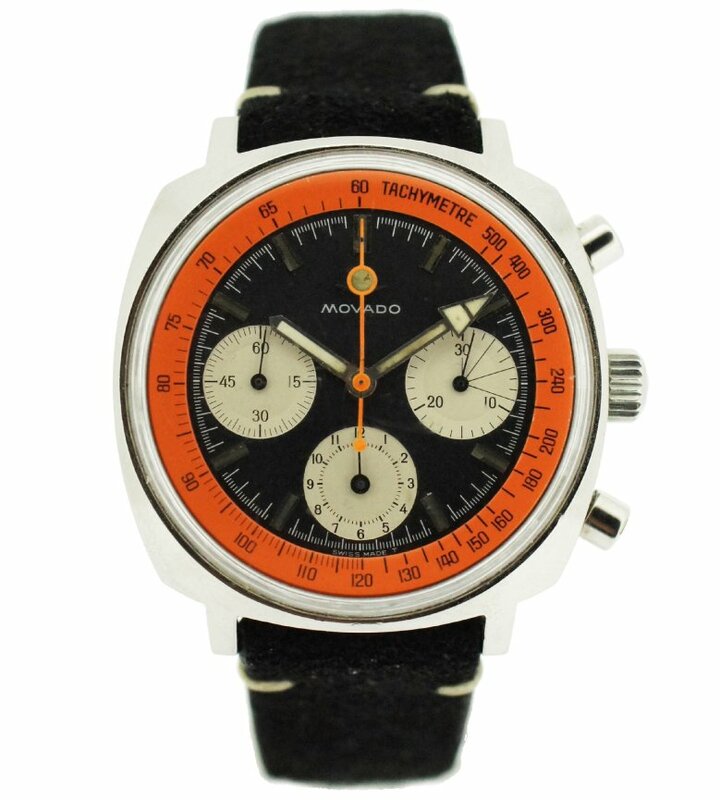 The 146HP was the last Movado manual wind chronograph movements used prior to the introduction by Zenith of the El Primero automatic high beat chronograph in 1969. This was the same year that Movado and Zenith came under the ownership of the same holding company: MONDIA-ZENITH-MOVADO holding company. Unlike its competitors, such as Breitling and Heuer, Zenith stopped making manual-wound chronographs shortly after the birth its El Primero caliber and both Movado and Zenith used only automatic chronographs from that point onwards.